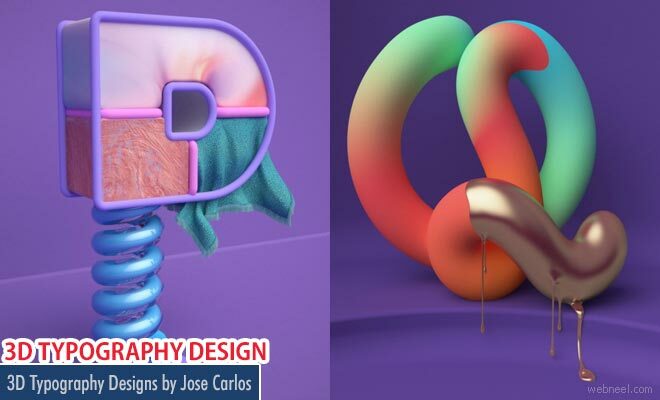 3D Typography Designs : Jose Carlos is a designer and digital artist based in san Jose, Costa Rica whose focus is mainly on digital art, direction and cartooning. But added to this he is passionate about 3D art works which adds laurels to him time and again. Smooth alphabet is a typography series of 3D with 36 letters with very smooth forms. Most exciting thing about the project is that one 3D letter was created per day. Jose had worked round the clock to post one 3D letter per day. This personal challenge is being done by Jose for the fourth time in repition as this is his fourth edition.